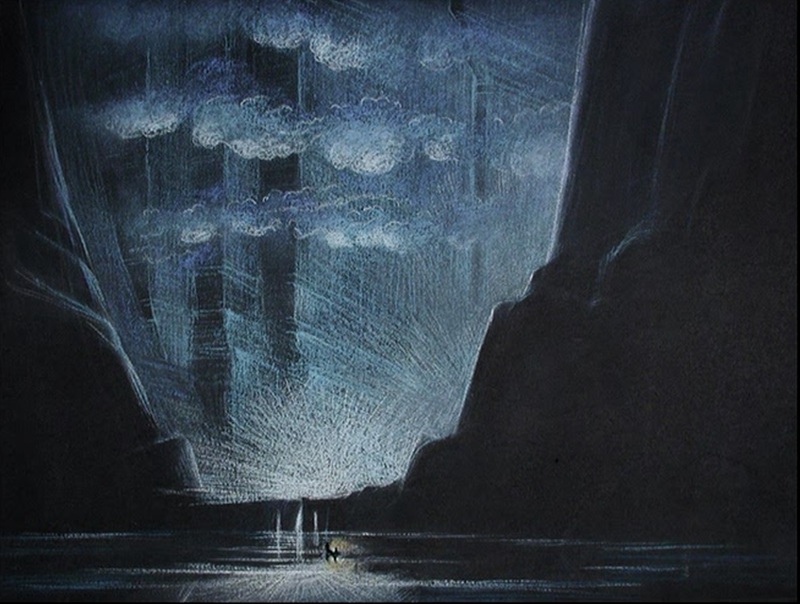 When Disney created Fantasia in the 1940's there was apparently a phase in the preparation in which it was considered which stories and pieces to use. There were a number of proposals that did not make it in the movie. 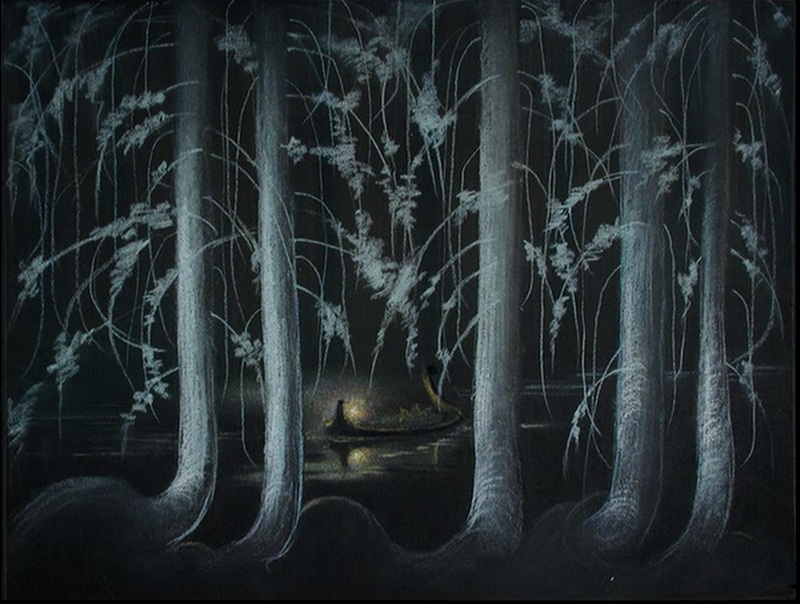 I had never heard about anything besides Debussy's Clair de Lune that was animated but never included. 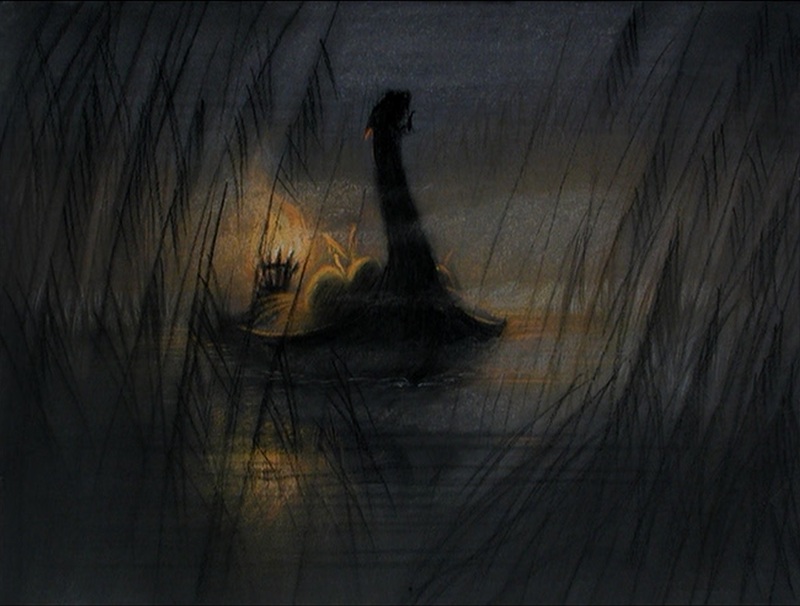 But on the Disney Wiki there are sketches of those proposals, and some of them are beautiful. I wasn't aware, before now, that there were any planned sequences that didn't make it into the final movie. Indeed, there are a few others as well, even a fully animated one on Debussy's 'Claire de Lune' - left out because the movie would be too long; one other piece was to be based on Wagner's 'Ride of the Valkyeries' but quickly abandoned when they found out that Wagner was Hitler's favourite composer; plus a couple of more down-to-earth ones like "adventures in a perambulator": the world as seen from the perspective of a baby in a pram. 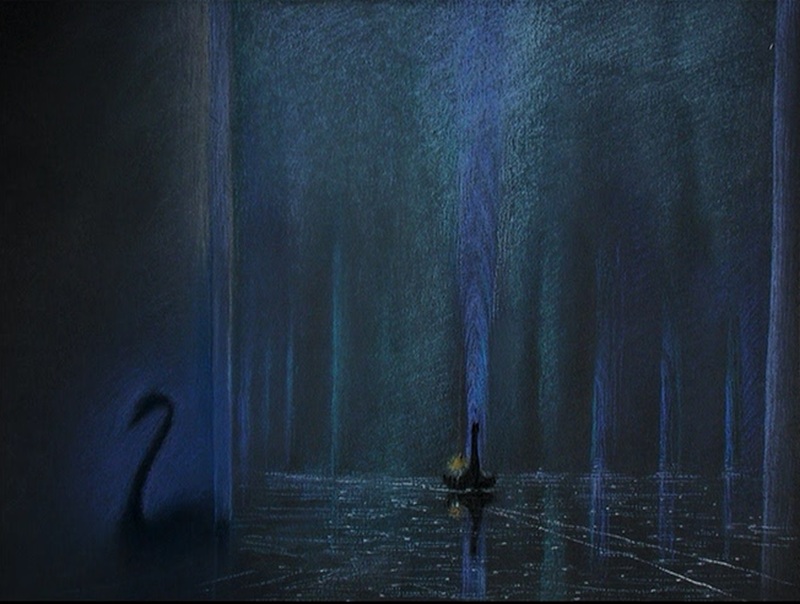 Oh and the most remarkable one I found was "Destino", a collaboration between Salvador Dali and Disney started on in 1945, and finally realised in 2003! You know, parts of this remind me of how the Salvia-collective perceives things. But only in certain 'transformational' parts (the shifting from one recognizable thing into another without regard to 'biological plausibility'). The reason is that an 11-dimensional manifold (in the true orthogonal axes sense) doesn't have huge degrees of intersection with a 3D one, but certain parts are...what's the term? -- "eminently recognizable". That does make some sense, indeed. It reminds me of a SF story I once read where people ran into 4D life forms that seemed to pop in and out of space at will; if you imagine what a human body must appear like to a 2D entity as it intersects with its 2D universe - that'd be mighty odd as well. If you stretch out your hand o that your fingers intersect with it, it appears as if a couple of circles appear out of nowhere. Push your hand further and the circles merge into a vaguely bean-shaped thing (cross section of the hand), then to an ellipse of shifting size and shape (the arm), and then explodes into a much larger irregular form (the body). It would be most unsettling to an entity that has no concept of a higher dimension. I've always loved Dali's work. He and Maurits Escher (the guy of the impossible object drawings and the studies in repeating / morphing shapes) were my main influences on art school. I find especially Dali's impossibly far-away horizon interesting in a technical sense; it's actually a very subtle effect that he uses to great effect. Some of his paintings are also very much "Alice-in-Wonderland-syndrome-provoking, such as the one with the elephant on those very thin thread-like legs.